The 25-year-old singer has announced that she and "normal" boyfriend Sam are expecting their first child so it looks like she may have been telling the truth when she said she would be taking a break from music. 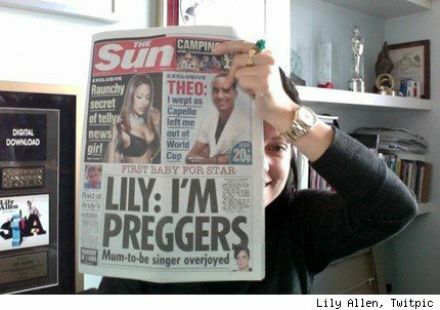 Lily has, of course, been telling people how much she wants a baby for some time now so it is good news that it's finally happened for the happy couple. Lily, who has just had her three-month scan, told The Sun: "It goes without saying we are both absolutely delighted." She's been dating decorator Sam since July of last year and has referred to him as "the love of my life".